This week: Ryanair reverses Dublin decision and plans Exeter launch; new CEO at Jetlines; Aeroflot signs for 100 SSJ100s; BA and Vistara to codeshare and more. Ryanair has reversed its decision to cut its Dublin-based aircraft fleet from 30 to about 24 during the winter 2018-19 season. 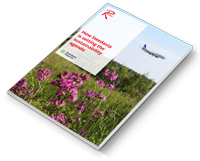 The low-cost carrier originally announced that six aircraft would transfer to Poland in November. It also said the related protective notices issued to 300 Dublin pilots and cabin crew in July have been withdrawn. Ryanair explained the move was taken to "respond favourably" to the mediation deal overseen by Kieran Mulvey, which saw Ryanair pilots based in Ireland vote unanimously to accept a collective agreement negotiated with the company. In addition to the Dublin reversal, Ryanair has announced its first ever flights from Exeter, with three new routes to Malaga, Malta and Naples commencing in April 2019. Each route will operate twice weekly. 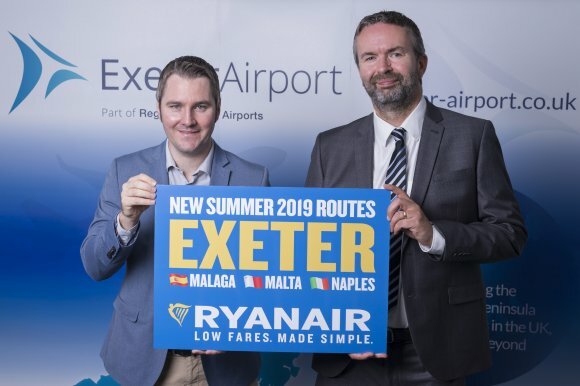 Exeter Airport managing director Matt Roach said: “This is a significant vote of confidence in the continued growth of Exeter Airport and we are delighted to be welcoming Ryanair for the very first time. Canadian start-up Jetlines has appointed its third chief executive this year, with former VivaAerobus man Javier Suarez taking the reins. Suarez has replaced Lukas Johnson, who succeeded Stan Gadek as CEO in June 2018. Johnson is returning to the US for “personal and family reasons”. However, the departing chief executive has invested C$700,000 in Jetlines as a show of support. Suarez, who spoke at Routes Americas 2018 in Quito, was previously vice president, network planning, revenue management, e-commerce at Mexican ultra-low cost carrier VivaAerobus. During his tenure, he was responsible for growing its fleet from 13 to 32 aircraft between 2014 and 2018. Aeroflot has signed a deal to buy 100 Superjet 100 (SSJ100) aircraft. Under the terms of the agreement, United Aircraft Corporation deliver 100 Russian-built SSJ100 aircraft to the airline between 2019 and 2026. The aircraft will be configured with 12 seats in business class and 75 seats in economy class. Aeroflot currently operates 49 SSJ100s and is expecting the delivery of the 50th aircraft. In addition, the carrier has signed a Memorandum of Understanding with Vietnam Airlines. The two airlines expect to begin codesharing on domestic routes in Vietnam and Russia during 2019. Aeroflot has also confirmed that Dmitry Saprykin is stepping down as chief executive of subsidiary Rossiya Airlines. He has led the carrier since November 2015. British Airways and Indian domestic carrier Vistara have announced a new partnership designed to open up more routes between London and India. British Airways operates two direct flights a day from Heathrow to Mumbai, a double daily service to Delhi and a daily flight to Chennai. The airline also flies direct to Hyderabad and Bangalore from Terminal 5. The agreement means that British Airways customers will now be able to visit 13 new destinations. London Stansted has passed the rolling 27 million passengers a year milestone for the first time in the airport’s history following its busiest ever month. Stansted welcomed more than 2.9 million passengers in August, up 8.5 per cent on last year, as the airport recorded its busiest ever summer season with a total of 8.4 million passengers passing through the terminal during the peak months of June-August. The total was an increase of nearly 700,000 passengers over last summer.